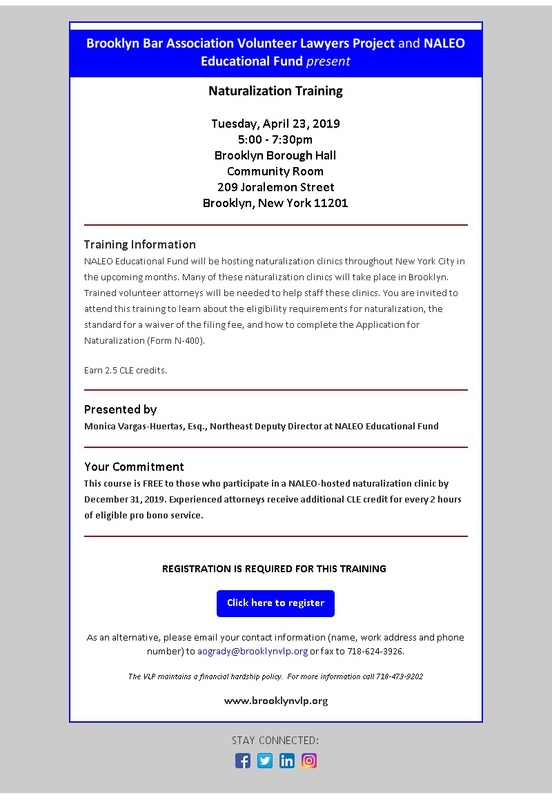 This course is intended solely for homeowner advocates who plan to volunteer through the VLP Foreclosure Intervention Project. There is no charge for the training. 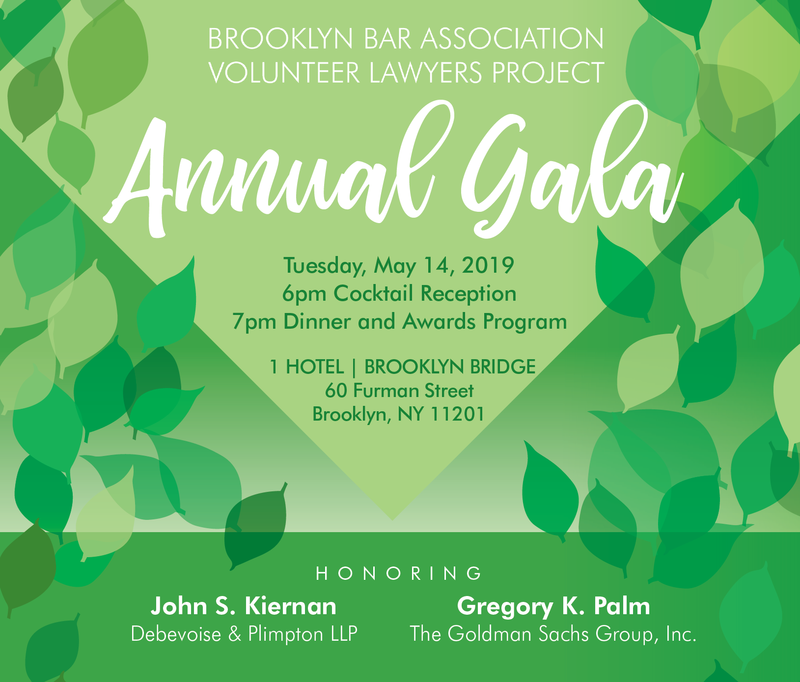 Participants agree to accept at least one pro bono referral for a Foreclosure or other matter from the VLP before January 14, 2011. Experienced attorneys receive additional MCLE credit for every 6 hours of eligible pro bono service. Join us for a discussion modification proceedings and enforcement proceedings in family court. The course materials consist of two case law digests. The course assumes a basic familiarity with child support proceedings. 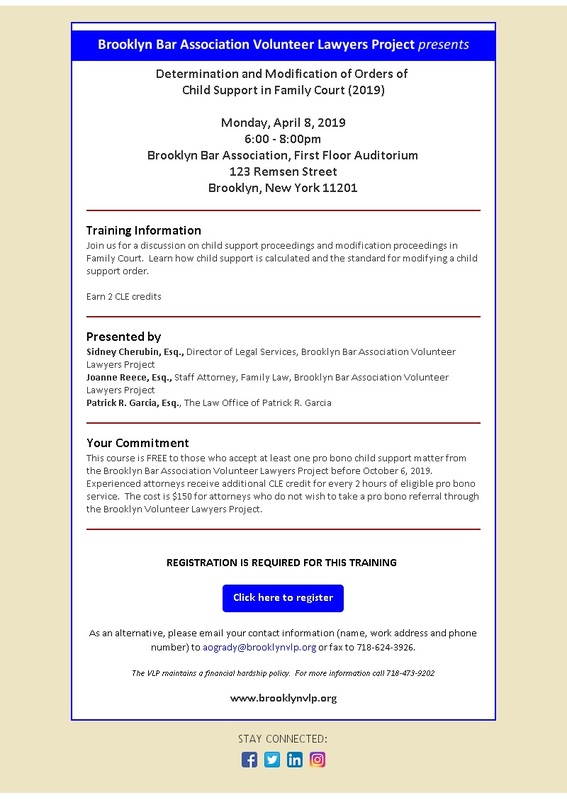 The cost of this course is $100 or is FREE to those who accept at least one pro bono referral from the Brooklyn Volunteer Lawyers Project before December 23, 2010. Experienced attorneys may receive additional MCLE credit for every 6 hours of eligible pro bono service.